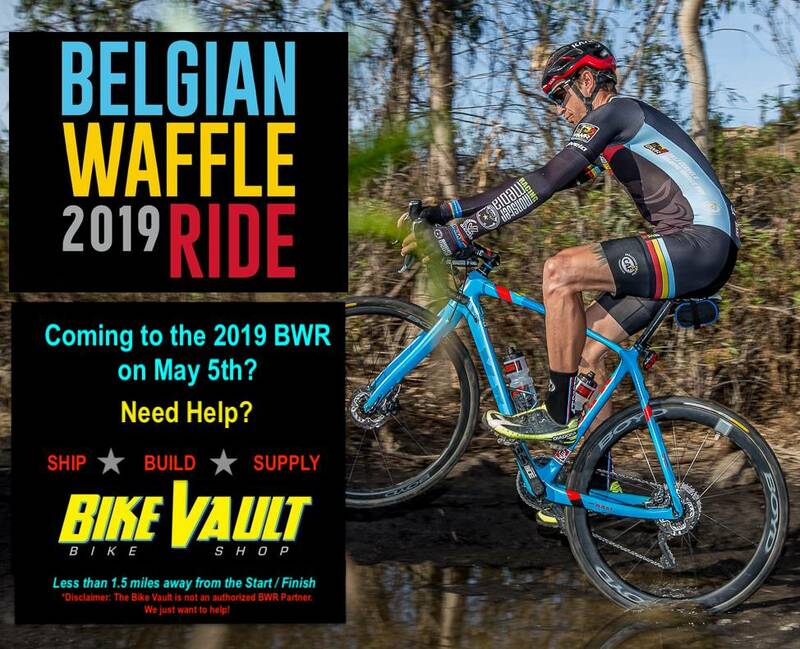 Disclaimer: We are not an authorized sponsor of the Belgian Waffle Ride. We're just here to help & are extremely close to the start/finish area. We're located about 1.5 miles away from the Lost Abby Start/Finish location at Lost Abby Brewery (see map below). * If you plan to have us build the bike, depending on what's all involved, a basic build fee will be $65. * Bikes are built first come, first serve. * If bikes need to be re-packed for shipment, we charge a $65 packing fee. However this may very depending if any additional packing material &/or boxes are needed. You can arrange your own shipment for the return, or we are happy to assist as well. While our shop is small, bike boxes can stay at the shop through the weekend if needed. They will be stored out back during the day (cases are locked), inside at night at no additional charge. We asked that boxes get picked up no later than Monday (otherwise they will be discarded or taken to storage & fee may be applied), or bikes should be dropped off for packing & shipment. We can discuss for alternatives if you plan to stay in town longer, just let us know ahead of time. While we will try to have a small surplus of parts & accessories available for BWR event participants the days prior to the event, any additional parts or supplies needed (co2, washing supplies, etc) should be ordered (or at least asked for) in advance to assure we can accommodate, especially if you're as picky as i am on your nutritionals. Our shop will be CLOSED on Sunday, May 5th (the day of the event). Since I personally plan to participate in the event, I will be on hand in case you need to access your bike box, or drop your bike off before you leave. YOU MUST make arrangements ahead of time. You might be able to contact me on event day, but no promises.